This course is designed to introduce hearing healthcare professionals to Resound’s hearing instrument fitting software, ReSound Smart Fit, via a live demonstration. Instruction will be provided for all necessary functions including how to connect, how to complete a first fitting and how to make adjustments to the frequency response and advanced features. EuroTrak is a survey issued to consumers at regular intervals over the last 10 years. It is quite comparable to MarkeTrak, but is issued in multiple countries across the world. The surveys are publicly accessible. The structure of the results as well as interesting changes are explained. 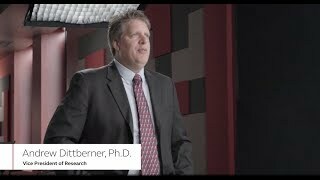 Vice President of Research Andrew Dittberner, PhD discusses the latest fourth generation technology, Binaural Directionality III and explains how it works. ReSound Smart Hearing Aid Wearer Molly Watt: "A Game Changer"
See what ReSound Smart Hearing Aid wearer Molly Watt had to say about her experience with this new technology. Laurel Christensen, Chief Audiology Officer, briefly touches on ReSounds' culture of solving problems. ReSound Microphone-in-Helix: Discreet for your patients, simple for you. Director of Order Management, John Pettus, discusses ReSound’s custom solutions, including the exclusive Microphone-in-Helix design. To learn more, please visit resoundpro.com. ReSound LiNX wearer Win Whittaker: "It was like rediscovering a lost world." 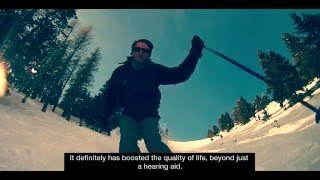 ReSound ENZO Wearer Jonathan Shackleton: "A wonderful change in my life"
See what super power user Jonathan Shackleton had to say about the world's smartest super power hearing aid, ReSound ENZO. February 25, 2019 GN Hearing, a member of Hear-it and supporter of the report, welcomes the publication of Hearing Loss – Numbers and Costs, and joins WHO’s call for a renewed focus on hearing tests to help people improve health and quality of life. January 9, 2019 GN Hearing, a pioneer of hearing technology and the first hearing aid manufacturer to partner with Apple® and Google, has announced another “world’s first”: the world’s first hearing solution that intuitively adapts to the hearing aid user’s personal preferences. November 8, 2018 Cochlear Limited (ASX: COH), the global leader in implantable hearing solutions, and GN (GN.CO), the global leader in intelligent audio solutions, today signed a new agreement to significantly expand their Smart Hearing Alliance collaboration. October 29, 2018 Anders Hedegaard, CEO of GN Hearing, is one of five leaders competing for Denmark's most prestigious leadership award, “Leader of the Year 2018.” The winner will be announced on November 21 at the Leadership Day Conference in Copenhagen. August 28, 2018 GN Hearing, one of the world’s leading hearing aid manufacturers and the pioneer of 2.4 GHz wireless connectivity, today announced the launch of Interton Ready, a next-generation hearing aid, aiming to help more people with hearing loss to stay connected with the world around them. August 22, 2018 AG Bell designed its new hotline for parents, caregivers and guardians of newly identified children with hearing loss worldwide who possess any degree of unilateral or bilateral hearing loss. The hotline is the first-ever confidential, bilingual (English/Spanish) hotline available for those whose child has been newly identified with a hearing loss. August 16, 2018 GN Hearing & Google announced a new technology partnership which will make GN Hearing the first company to enable a full spectrum of direct streaming from Android phones and tablets to hearing aids. The partnership is a collaboration focused on developing new technology which will benefit hearing aid users and professionals and is not financially driven. This means users will no longer have to use an intermediate device to stream audio from their Android device to their hearing aids. August 14, 2018 Today, technology is transforming the lives of people with hearing loss. Sleek in design and practically invisible in the ear, ReSound LiNX Quattro offers the most dynamic range of sound, helping people understand more speech and fine details in any social or professional setting. It also has the longest battery life and comes with a remote fine-tuning app, which allows hearing care professionals to adjust your hearing aids from anywhere, without having to visit the clinic. June 7, 2018 GN Hearing, a global leader in Smart Hearing aid technology, announced today the company’s two signature products, ReSound LiNX 3D™ and Beltone Trust™, were named winners of two Gold Stevie® Awards. May 9, 2018 Kim Lody, president of GN Hearing North America, was named a 2018 Women in Business Honoree by the Minneapolis/St. Paul Business Journal. October 30, 2017 ReSound’s latest generation of hearing aids are recognized for their innovation and accessibility.COPENHAGEN, Denmark –– ReSound LiNX 3D and ReSound ENZO 3D were today acknowledged with three 2018 CES Innovation awards. October 25, 2017 Awards recognize industry excellence in management, leadership, customer service and human resources.Bloomington, Minnesota –– GN Hearing, a global leader in Smart Hearing solutions and services, announced that ReSound was recently awarded five Stevie International Business Awards, including a silver Woman of the Year award for Kim Lody, GN Hearing North American President, and a bronze award for Company of the Year. September 9, 2017 Recognizing ReSound’s new hearing care experience for its innovation and design.Berlin, Germany –– ReSound has been acknowledged with two awards at IFA, the world’s largest consumer electronics show. 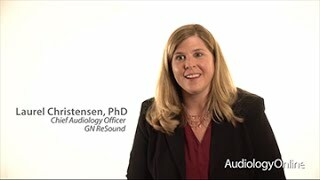 August 31, 2017 GN Offers Unmatched Hearing Care Made for All Types of Hearing Loss.COPENHAGEN, Denmark – Today, GN Hearing announced the launch of ReSound ENZO 3D™, and the corresponding Beltone Boost Max™, which brings the renowned benefits of ReSound LiNX 3D™ and Beltone Trust™ to people with severe to profound hearing loss. August 24, 2017 Providing Users Even More Choice in Personalizing Their Hearing Care Experience.COPENHAGEN, Denmark--(BUSINESS WIRE)--GN Hearing introduces a rechargeable battery option for the revolutionary ReSound LiNX 3D hearing aids. June 26, 2017 Leadership in Smart Hearing Continues with World’s First Comprehensive Remote Fine-Tuning Solution. GN Hearing will demonstrate the pioneering ReSound LiNX 3D™ and full family of smart hearing aids as part of the company’s participation in the IFOS World Congress in Paris 24 – 28 June. June 3, 2017 Denmark’s HRH Prince Henrik's Medal of Honor awarded in recognition of an outstanding effort in promoting Danish products and services in the USA, notably the ReSound LiNX hearing aid family. May 16, 2017 GN Pioneers a New Hearing Care Experience.COPENHAGEN, Denmark--(BUSINESS WIRE)--The innovative ReSound LiNX 3D™ hearing aids are now available in the U.S. market, taking Smart Hearing to unmatched sound quality and enabling people with hearing loss to hear more, do more and be more anywhere in life. April 8, 2017 ReSound LiNX 3D™ Leads Industry to a New Era of Hearing Care Experience.COPENHAGEN, Denmark--(BUSINESS WIRE)--GN Hearing today conducted the world’s first transatlantic remote fine tuning of a hearing aid in front of a live audience during GN Hearing’s investor/analyst meeting at the AudiologyNow! 2017 conference in Indianapolis, USA. November 19, 2018 Michael Piskosz, MS It is challenging to provide appropriate tinnitus services relative to the number of people who are seeking help, and mobile apps could help fill the void. This paper discusses the clinically validated components of the ReSound Relief app, its efficacy in helping to manage tinnitus, and how data collected in the app is used. September 5, 2018 Jace Wolfe, PhD, CCC-A Using remote microphone technology is the most effective method to improve speech recognition in noise for hearing aid users, with a variety of different remote microphone solutions available today. In this investigation, adult hearing aid users were tested with their hearing aids alone and in combination with three remote microphones differing in the type of microphone and gain behavior. July 30, 2018 Michael Piskosz, MS, Board Certified in Audiology This course will provide an overview of the ReSound Tinnitus Management package. We will review tools such as the Relief app, Tinnitus Sound Generator, and how best to incorporate these tools into successful tinnitus management. November 21, 2017 Laurel A. Christensen, PhD, Tammy Stender, AuD Hearing aids have limitations that mean they do not always offer optimum benefit. This article reviews evidence of how hearing aid accessories supplement hearing aid performance, and offers guidance on how to implement them in everyday fittings. November 15, 2017 Tammy Stender, AuD This course is an introduction to the new ReSound super power hearing instrument family: ReSound ENZO 3D, which brings the benefits of LiNX 3D to the super power market. October 2, 2017 Megan Quilter, AuD, Neil Wright, AuD This article reviews the use of Hearing Assistive Technology in educational settings and presents a cost-effective solution for usage of the most commonly recommended technology. August 7, 2017 Laurel Christensen, PhD I'm pleased to be able to introduce you to our latest product, ReSound LiNX 3D. Several years ago, we made a decision to go down a different wireless technology path than our competitors, and with good reason: wireless accessories and wireless systems were cumbersome and not widely used. Hearing aid users were required to wear something around their neck, they were bulky and not very discreet. In 2008, when we were looking into developing a wireless system, we knew that 2.4 GHz would be the way of the future, and we decided to develop our wireless at 2.4 GHz. June 23, 2017 Michael Piskosz, MS The Resound Relief app is a comprehensive tool that addresses all aspects of tinnitus management, not just the sound therapy component. With regular updates and collaborations with key opinion leaders in tinnitus research and treatment, the ReSound Relief app continuously evolves to offer more benefits to both tinnitus patients and clinicians. This course reviews the components of the ReSound Relief app along with the underlying rationale and evidence for its features. How Accurate are Environmental Classifiers in Hearing Aids? April 21, 2017 Tao Cui, AuD, Jennifer Groth All modern hearing aids with any kind of automatic functionality use analysis of the acoustic environment. The most basic is the compression system, which uses level detectors to determine how much gain should be applied to the input signal according to the amplification scheme. However, when speaking of environmental classification, what we usually mean is the system by which the hearing aid decides what sort of listening situation it is in. Wireless Technology: Where Have We Been? Where Are We Now? Where Are We Going? August 22, 2016 Stephen A. Hallenbeck, AuD Within the last several years, many wireless technological advances have occurred within the hearing aid industry. These advances include the concept of near field magnetic induction, followed by Bluetooth (i.e., radio frequency transmissions, or RF), and other proprietary radio frequency transmissions. May 23, 2016 Jennifer Groth, MA The fact that two ears are better than one is well-established. The human auditory system integrates information from both ears providing benefits in terms of loudness, localization, sound quality, noise suppression, speech clarity and listening in noise. The ability to selectively attend to particular sounds, like a single voice among many talkers, is one of the most amazing and significant benefits of binaural hearing. April 18, 2016 John Nelson, PhD Dr. John Nelson: Today I will discuss how ReSound implements directional processing in our hearing aids. We know that directional hearing aids provide a significant benefit in laboratory settings. 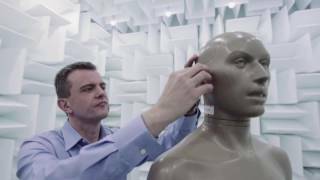 When conducting studies, we will typically place a listener in an audio sound booth in a controlled listening situation. An example of a controlled listening situation is where a speech signal comes from the front of the listener, and noise comes from the back. This setting does not represent a real-world situation. However, when we perform laboratory studies, we must control them so that we know what we are looking at and we can measure and evaluate the data. Therefore, when we obtain our results, we can go back and analyze what did or did not cause a directional benefit. Additionally, in a laboratory, the speech and noise may be spatially separated (i.e., they are not coming from the same direction). This is also a cue that allows directional hearing aids to work better, because they can focus in on different directions, being able to provide better audibility and better understanding from different situations. March 28, 2016 Stephen A. Hallenbeck, AuD, Wendy Switalski, AuD Professional organizations such as the American Academy of Audiology, the Independent Hearing Aid Fitting Forum and others have provided hearing care practitioners with protocols to standardize the hearing aid fitting and rehabilitative experience. These protocols provide fitting professionals with a necessary starting point and technical guidelines for hearing aid fittings. However, a significant gray area exists between the technical requirements for a successful fitting (such as the use of pre-fitting objective tests, hearing inventories, and probe microphone measures), their routine implementation, and the verbal descriptions or “positioning” of these items within the fitting process. In the current environment, clinicians have tremendous freedom to experiment with a narrative that matches their professional philosophy and personality. However, the lack of any standardization of – or even contemplation about - these clinical messages limits the ability of the profession to measure the impact that counseling strategies have on the fitting. Furthermore, the lack of standardization also limits the possibility for any scientific examination and refinement beyond anecdotal report. Why Doesn't the Simulated Display in the Fitting Software Match the Actual Output in My Patient's Ear? August 27, 2018 Jennifer Schumacher, AuD When I create a new hearing aid fitting for a patient, why doesn't the simulated display in the fitting software match the actual output in my patient’s ear? How can Teleaudiology Improve Care for Hearing Aid Users? April 2, 2018 Thumper Johnson, MA, CCC-A/SLP How has comprehensive remote fine-tuning, or teleaudiology, revolutionized the hearing care industry? What Are the Latest Advances in Hearing Aid Personalization and Teleaudiology? September 25, 2017 Dave Fabry, PhD What are the latest advances in hearing aid personalization and teleaudiology from ReSound? How Does ReSound Aventa Prescribe MPO, and What is the Rationale? August 22, 2016 Jennifer Schumacher, AuD, Jennifer Groth, MA How does ReSound Aventa prescribe MPO and what is the rationale? What is GN Hearing Doing to Support Users and Hearing Healthcare Professionals in this Evolving Industry? July 11, 2016 Anders Hedegaard Led by innovations in technology, the landscape of hearing healthcare is changing. What is GN Hearing doing to support users and hearing healthcare professionals in this evolving industry? Fitting FM Systems: Why is it Important to Set Goals? July 5, 2016 Neil Wright, AuD FM patients can vary widely in both in audiological characteristics and needs. Are there any straightforward rules for fitting FM systems that can apply broadly across all FM patients? When Should I Introduce Wireless Technology in the Fitting Process? April 25, 2016 Stephen A. Hallenbeck, AuD I find myself introducing wireless accessories to my patients during follow-up appointments to help with specific problems. Sometimes this works, but often backfires. What strategies are there to introduce wireless technology earlier in the fitting process? How Does ReSound Implement Research Findings in Cognition and Hearing into its Signal Processing? February 15, 2016 Tammy Stender, AuD How does ReSound implement research findings in cognition and hearing into its signal processing? How Have Wearables Expanded Access for People with Disabilities? August 24, 2015 Morten Hansen It's been 25 years since the Americans with Disabilities Act was passed, and as an audiologist I've seen a lot of changes during that time. Is the growth of wearables having an impact in this area? 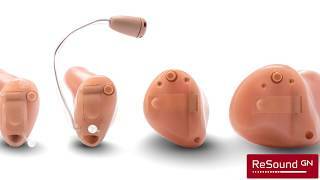 Is the ReSound Portfolio of Smart Hearing Aids Available with Android Phones? March 16, 2015 Jennifer Seelman Is the ReSound portfolio of smart hearing aids available with Android smart phones? What's New with the ReSound Tinnitus Portfolio? February 16, 2015 Michael Piskosz, MS What's new with the ReSound tinnitus portfolio? How Do I Adjust Hearing Aids for Own Voice Complaints? August 25, 2014 Jennifer Groth How do I make adjustments to the hearing instrument for own voice complaints? When Hearing Aids Cause Itchy Ears, What Can be Done? July 28, 2014 Tao Cui, AuD What can you do when the patient says the hearing instrument is making their ears itch? Why do I Need Tinnitus Features in Hearing Aids? June 23, 2014 Michael Piskosz, MS, CCC-A Why do I need tinnitus features in the hearing aid when patients report relief even without any special features? Can I Put a Rechargeable Battery in my Hearing Aid? May 12, 2014 Tao Cui, AuD Can I Put a Rechargeable Battery in my Hearing Aid? What can be Done to Improve Speech Intelligibility on the Phone? March 31, 2014 Jenny Nesgaard Pedersen, AuD What can be done to improve speech intelligibility on the phone? How is it Possible to Stream Audio Directly from the iPhone® to Hearing Aids? February 24, 2014 Jennifer Groth How is it possible to stream audio directly from the iPhone® to hearing aids? When will this be available for other cell phone platforms? What are Some Common Misconceptions of Mild Hearing Loss? December 9, 2013 Kimi Nina Møller, MA, Charlotte T. Jespersen, MA What are some common misconceptions associated with mild hearing losses? What are the Benefits of 2nd Generation Unite Wireless Accessories? December 9, 2013 Lotte Hagen Hernvig, MA What are the benefits of 2nd generation Unite wireless accessories? What is the Impact of Bandsplit Directionality on Speech Recognition and Perception? November 4, 2013 Charlotte Jespersen, MA What is the impact of bandsplit directionality on speech recognition and perception? August 19, 2013 Torben Groth, Jennifer Groth Topic: Hearing Aid Battery Life - Is it Getting Better or Worse?